Just recieved a text message from a mate telling me about the Mt Terrible Hut burning down so i thought i would post this link for anyone interested..
You cannot percieve the mentality of someone deliberately burning down that hut. As one of the volunteers that has helped restore a hut in another area you certainly get a sense of pride of what can be done by a group of volunteers in keeping some of our heritage in the bush. High Country Huts Association I believe was working on or had in conjunction with the Nissan 4WD Club done a fair bit of work on this hut during this year. 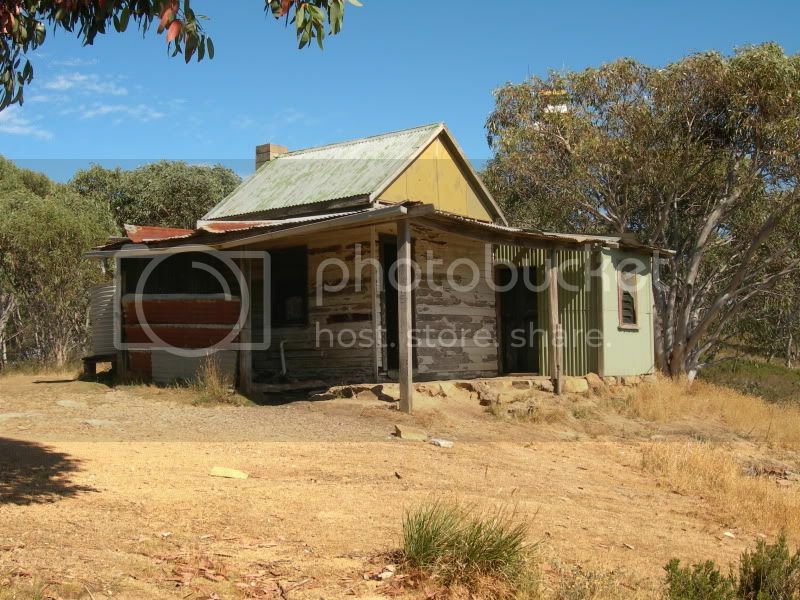 I was up there ealier this year and saw the damage by vandals first hand and it just saddens you why anyone would destroy these huts scattered around the Vic High Country. From what I hear the people involved were caught and I hope the full extent of the law comes down on them. Very disappointing, loved stopping there for a coffee while checking out the view on the many day trips I've done through there. Well, what I heard is that there were people camping there who had a fire inside, a log fell out of the fire, and the hut caught alight - that's just what I heard tho. I got an email from DSE telling me the hut was burnt down and they were having a meeting this last week to discuss what they are going to do with it. I sent an email back saying there are a lot of people and clubs that want it rebuilt, so I will wait to see what email Inget back. 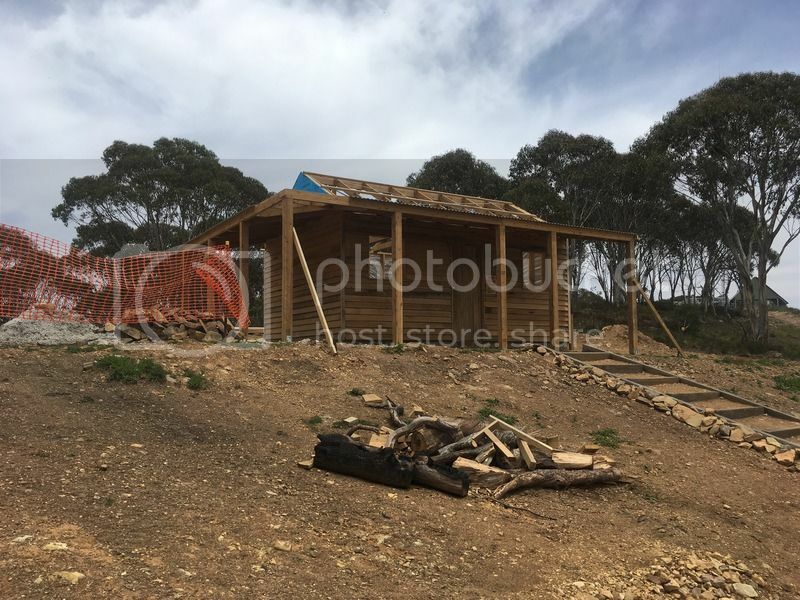 My Association, Victoria Huts and Yarra Valley 4x4 Club, went up before winter to repair the hut; we put 4 new poles in at the front, fixed the verandah, & pulled all the cement sheeting off the walls inside (there wasn't much left anyway.) The plan was to fully rebuild it during spring and summer, but now it's burnt to the ground I don't know what they will do. Now it's not there,it might be easier to rebuild it. 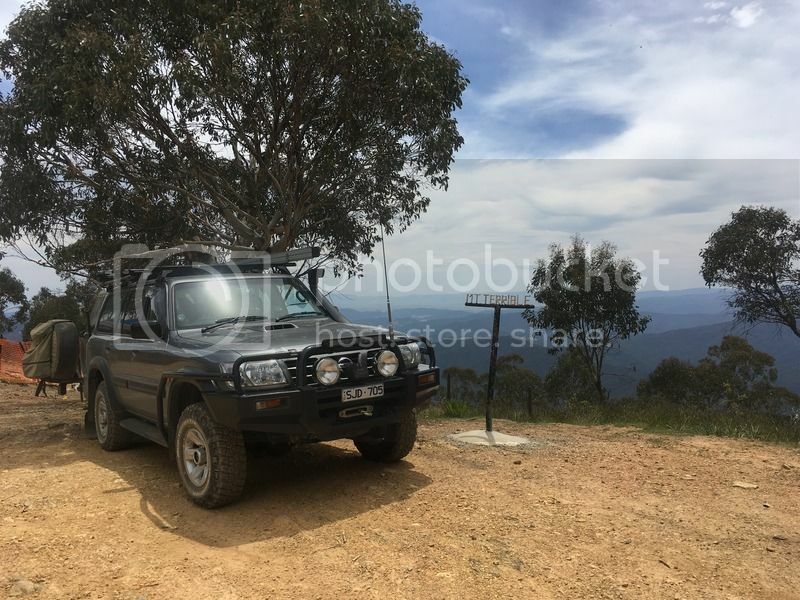 Maybe you could get assistance from 4WD Action and clubs around Vic or even Australia for that matter to rebuild it from the Ground up, keep it simple and possibly this time build a fire barrier around it, maybe even make much of the shed out of fire retarded materials. I am yet to travel in the Vic High Country but staying in huts like this would be the highlight of the trip, it would be a shame for this to no longer be available. Personally old buildings like this, while impressive are often fires waiting to happen so maybe in the long run this will be a positive thing lets hope Vic Parks don't make it too hard for you to move forward. The plan was to fully rebuild it during spring and summer but now it burnt to the ground i dont know what they will do now it not there it be easier to rebuild it. Sure will watch this space. Have a colleague involved with KHA and the work they do and the conditions they do it under are pretty amazing. Last edited by Neat 60 on May 3rd, 2016, 8:42 am, edited 1 time in total. Well here is hoping, and Wayne is a good operator! Bit of a shame! it was an awesome spot to stay with a magnificent view right from the front door. Nice shot - that's pre the 2008 resto.